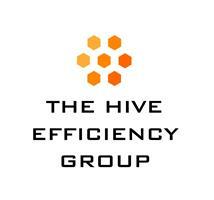 The Hive Efficiency Group Ltd - Damp Proofer, Plasterer based in Shirley, West Midlands. The Hive Efficiency Group was founded after its owners with 30 years' experience in the home improvement sector, wanted to bring together a company with transparent pricing, quality workmanship and solid guarantees. We cover all aspects of damp proofing - chemical DPC's, tanking, basement waterproofing and penetrating damp. All our damp proofing work comes with 20yr transferrable guarantee. We are installers of Johnstones Stormshield render and External wall insulation systems - average energy savings of 35%. Living In The Shires Magazine Home Improvement Specialist 2017 award winners. ALL SURVEYS AND QUOTATION ARE FREE OF CHARGE. · Firestone rubber flat roofing. · SuperDRY roof coating system. ENERGY SAVINGS OF UP TO 35%.